Ginspiration Cocktail Competition with Juliette's Interiors - What's Katie Doing? I’ve been invited by Juliette’s Interiors* to create a gin recipe for a competition that best reflects the glamour of their fabulous gin trolley, as well as the spirit (see what I did there!) 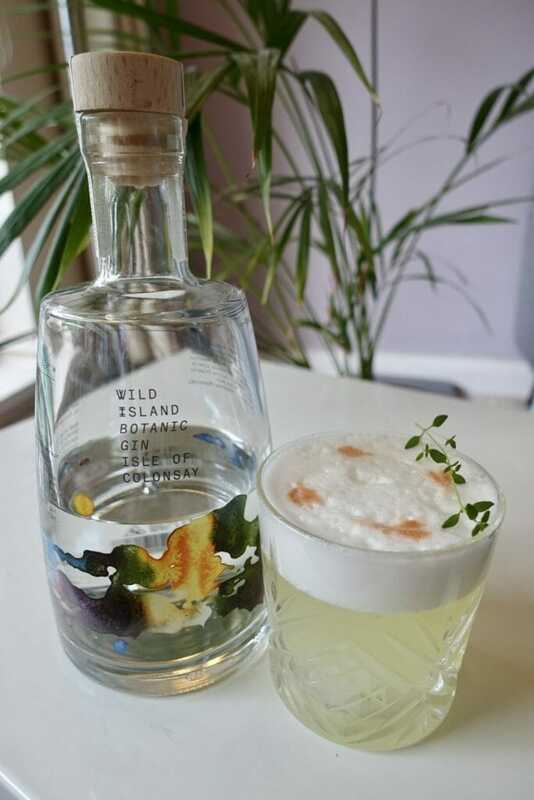 of Wild Island Botanic Gin from the Isle of Colonsay. 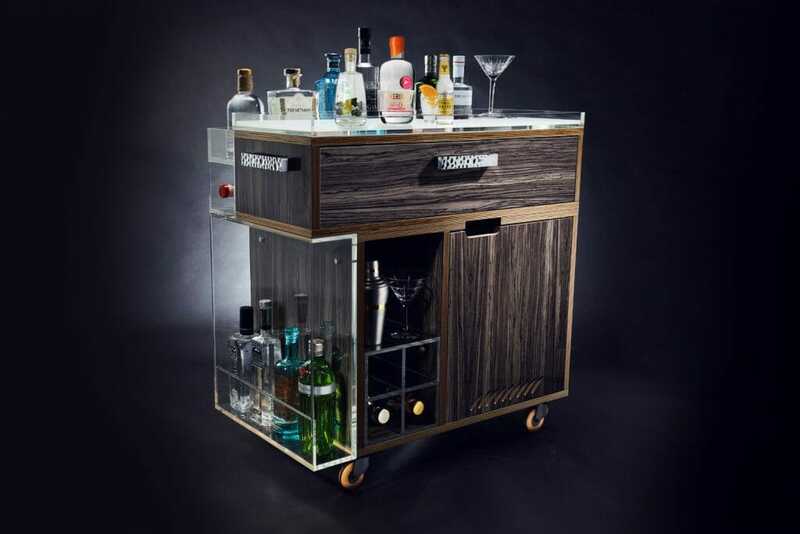 This gin trolley is not any gin trolley…. this is the Most Perfect Modern Gin Trolley from Juliette’s Interiors. It contains plenty of storage, including a mini fridge, draws for cocktail implements, a garnish board, shelves for bottles and glasses and a whole lot of glamour. I could easily see this fitting into a modern or vintage interior. The wheels allow it to be positioned wherever you want to serve cocktails – inside and out. 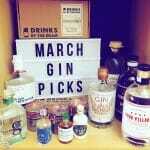 The gin trolley would fit right in at The Holy Birds bar, with period furniture that channels a Mad Men vibe, and has rooms named for Negroni and Manhattan cocktails. 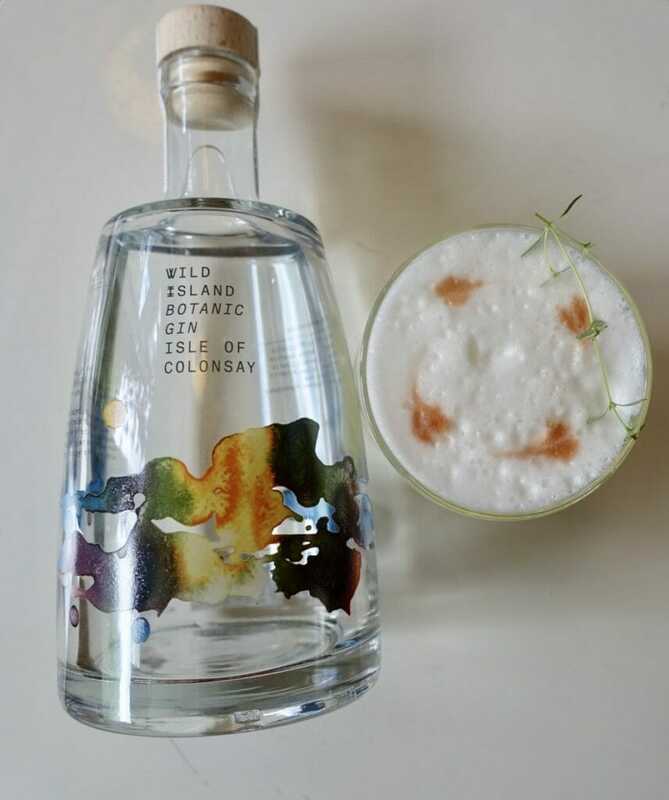 Combining the glamour of the gin trolley with the Wild Island Botanic Gin, I took inspiration from its 16 botanicals. There are 10 classic gin botanicals, including the base spirit made from British Wheat, juniper, sweet lemon and orange peel, liquorice, cinnamon, coriander, orris, angelica, cassia and nutmeg. The additional 6 botanticals are hand foraged, lemon balm, wild water mint, meadowsweet, sea buckthorn, heather flowers and bog myrtle. These add the real USP to this gin, making it specific to the location and tasting uniquely floral and fragrant. You’ll also need a cocktail shaker for this recipe. Heat 200ml water to boiling in a non-stick pan and gently add 100g sugar, zest of half a lime and a large sprig of fresh thyme. Turn down the heat and stir constantly for 3-5 minutes until the sugar is dissolved. Turn off the heat and leave to cool. Whilst still runny decant into a sterlised glass bottle/jar. Shake the gin, lime juice, syrup and egg white ‘dry’ (without ice) for at least 15 seconds. Then add ice to your shaker and shake again (the first shake gets a good foam on the cocktail). Strain into the glass and add a couple of drops of Angostura bitters and garnish with the thyme sprig. I hope you feel the wow factor here?! 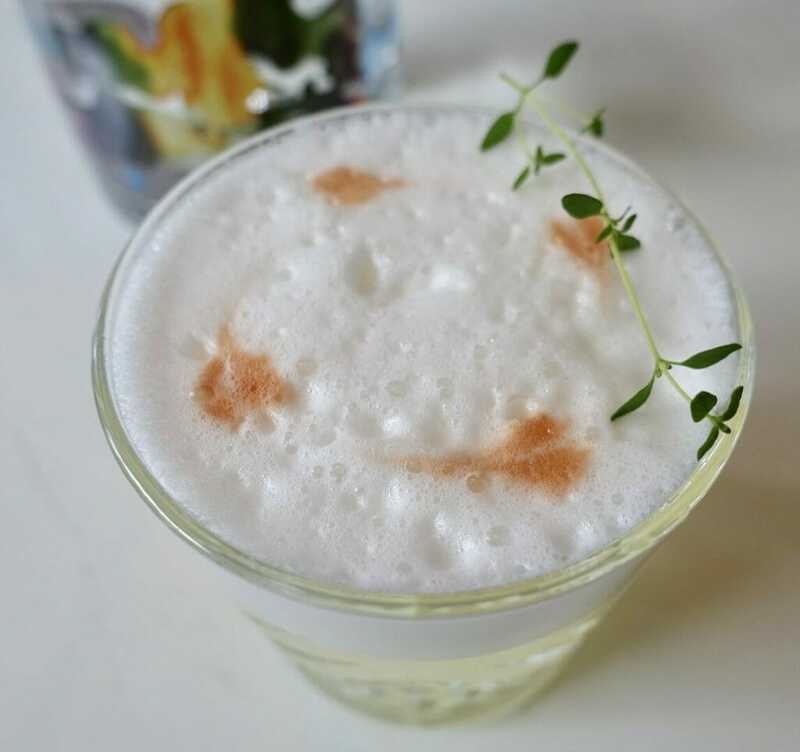 The result is a cocktail that is balanced between the sweet syrup and the sour lime juice, with a good head of egg white froth on the top. If the balance isn’t quite right then add more syrup/lime juice to get it to your taste. 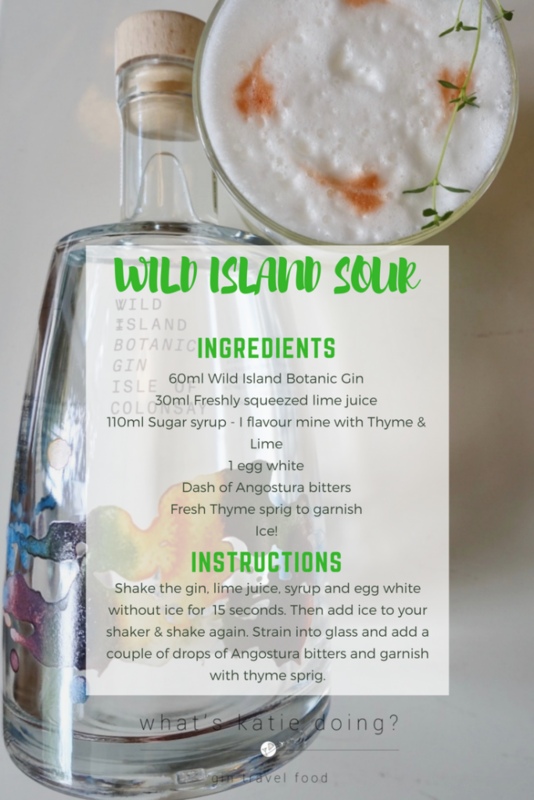 You should be able to taste the gin without it being too strong a flavour, but still be able to enjoy Wild Island Botanic gin to the full. I could see this being shaken up from the Juliette’s Interiors gin trolley for sure! 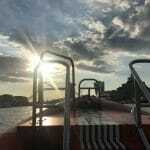 Let me know what you think when you try it out! 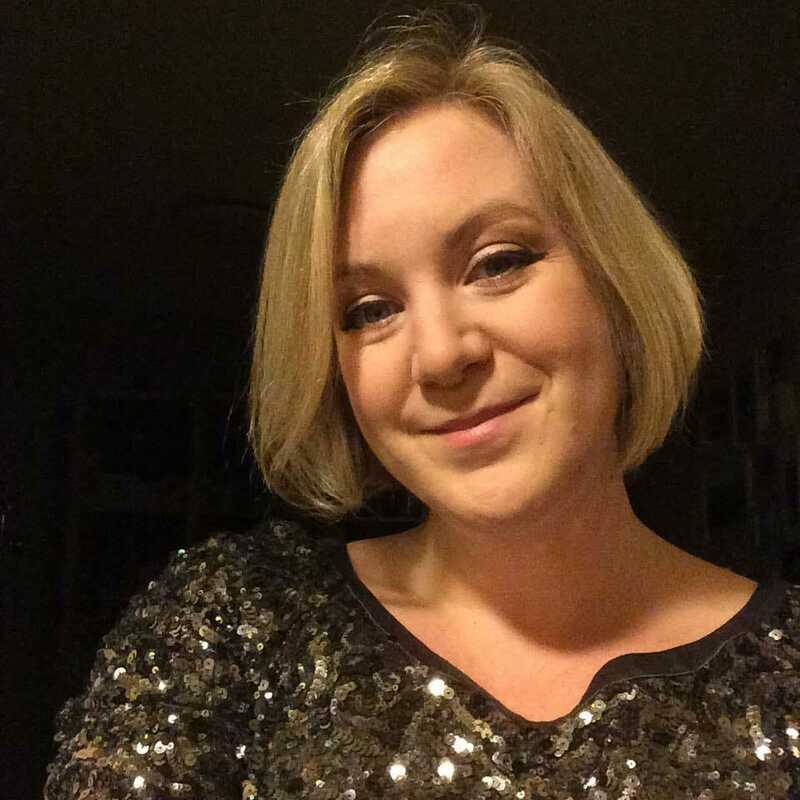 Vote for my cocktail entry and you would win a bottle of gin too! 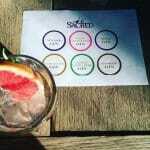 Vote for my recipe to win the ginspiration cocktail competition, by heading to Juliettes Interiors Ginspiration Competition to vote. 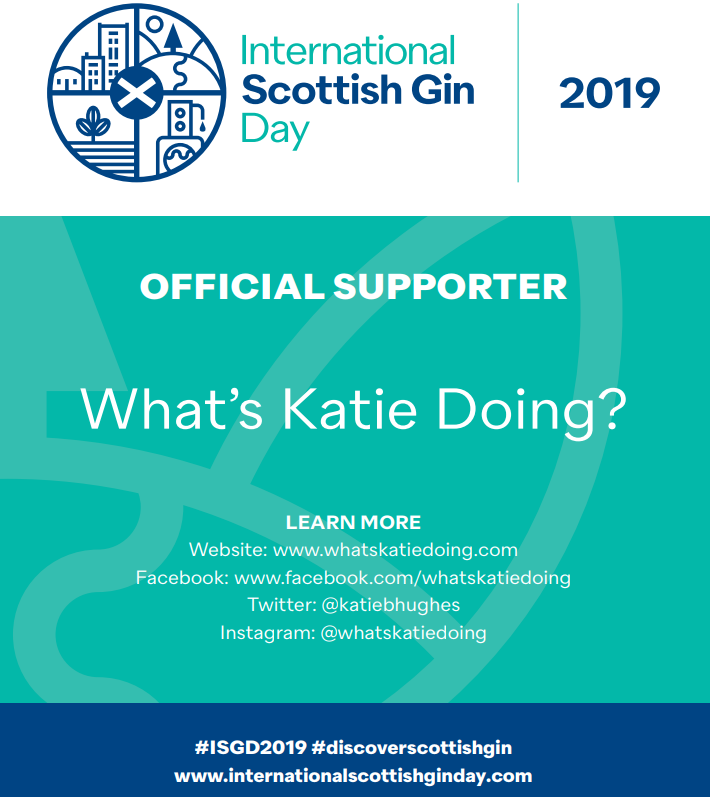 *Juliettes Interiors have sponsored this post, however all opinions remain my own and please vote for my cocktail recipe to win, this gives extra exposure to What’s Katie Doing?